Minawi, Mostafa. 2016. 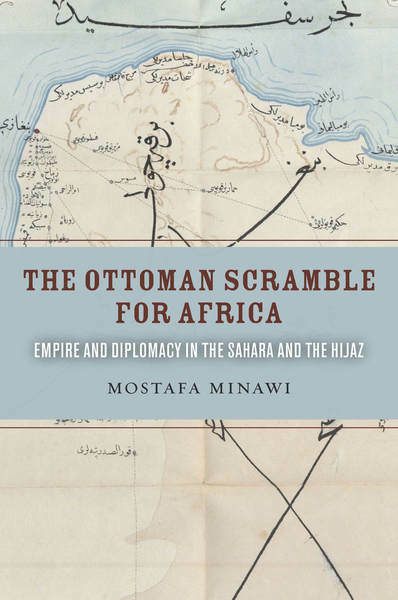 The Ottoman Scramble for Africa: Empire and Diplomacy in the Sahara and the Hijaz. Stanford University Press. “The Ottoman Scramble for Africa is the first book to tell the story of the Ottoman Empire’s expansionist efforts during the age of high imperialism. Following key representatives of the sultan on their travels across Europe, Africa, and Arabia at the close of the nineteenth century, it takes the reader from Istanbul to Berlin, from Benghazi to Lake Chad Basin to the Hijaz, and then back to Istanbul. It turns the spotlight on the Ottoman Empire’s expansionist strategies in Africa and its increasingly vulnerable African and Arabian frontiers. An episode of the Ottoman History Podcast with Minawi was also dedicated to this topic and is well worth a listen.